Lots of people out there just like that rock. "And a rock feels no pain. And an island never cries." 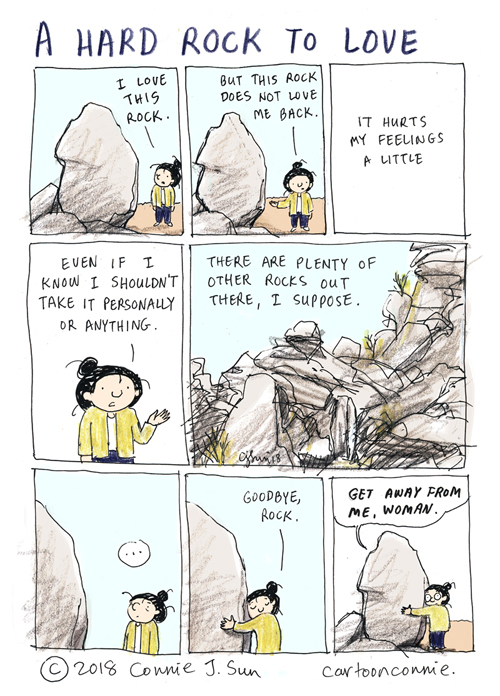 And a rock lies like a rug.